Jacksonville, NC – Jim Sheegog, President of Rowhill Consulting Group, successfully launched a new leadership program with Marine Federal Credit Union, a North Carolina based financial institution. The program starts from the ground up, working with branch managers on the front lines of the business. The program featured a series of engagements with senior officers and branch managers. 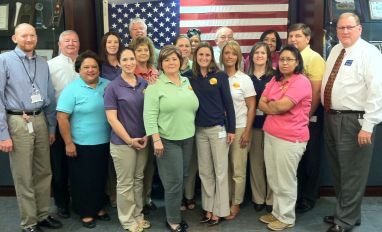 Marine Federal is a rapidly growing credit union that values knowledge sharing and networking. Participants left the program with an awareness of what fellow branch managers are facing and crafted solutions as a team to better serve their members. We would like to thank Marine Federal Credit Union participants and managers for their commitment to growth and learning.